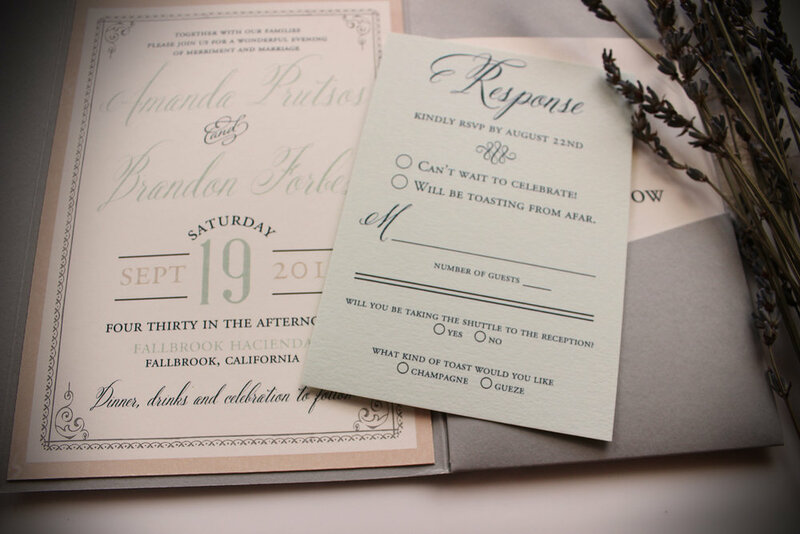 Guest blog post by Amber Kerken, an APS employee, whose brother we had the honor to make invitations for. I feel so privileged to write this post. 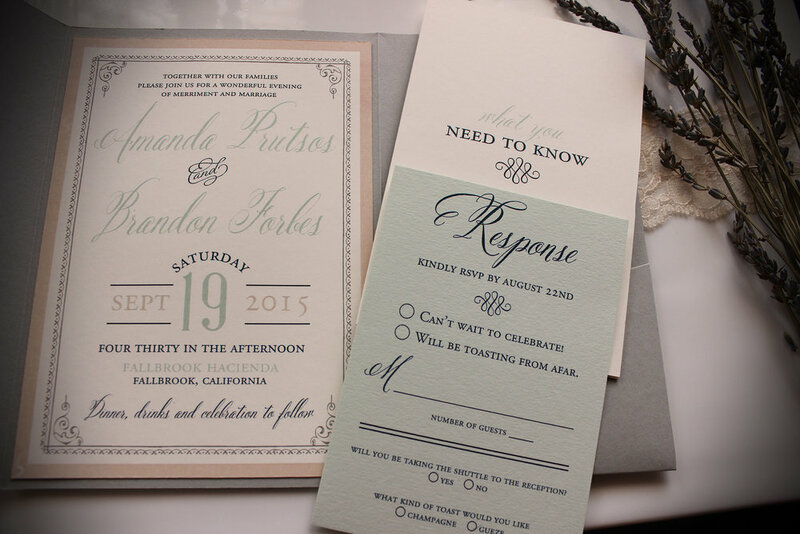 On September 19th, my brother and his lovely fiance, Amanda are getting married. I still haven’t wrapped my head around the fact that my baby brother, my first friend, my partner in crime on so many “first” adventures, is getting married. Brother, that’s what I’ve always called you, just like you always call me sister. It’s not Brandon or Amber, it’s “hi sister” or “love you brother.” So brother, this is a letter is for you. This weekend you’re getting married. Has that soaked in yet? It’s been something you’ve been waiting for ever since that fateful day in Pasadena, actually it’s been something you’ve waited for your whole life. You’ve always been a hopeless, or should I say, helpless romantic and have been anxiously waiting to give your whole heart to that perfect girl and I believe with all my being, Amanda is the greatest decision you’ve ever made. Though I’m your older sister…and you will always be my baby brother, you have never failed to teach me so many things about life along the way. You are the dreamer of all dreamers. You approach life with such optimism; no idea is unattainable. You see it and be it, without wondering about the how, the where or the why. You just go for it; you’re fearless. As a type-A, planner of planners, we could not be more opposite in that way but that’s why I love it, and you, more than words could ever express. Looking back on our life, I know I wouldn’t be the person I am today without you. I’ve only been married for just about a year, so I’m by no means an expert but if I were to give you any advice, I would say just continue to be you. Continue to work as hard as you do, never loose your unparalleled compassion, love her like you do now and darn it, be fearless with her. You are about to promise your life to her, in sickness and in health, in good times and bad and sometimes that takes gumption to go forth. Take hold of her and let her know you are in this together – no matter what. Your wedding day is thought to be the best day of your life but my prayer is Saturday is just one of many “best days” you and Amanda share. And my vow to you is to be your biggest supporter like you have always been to me. Love you to the ends Brother. 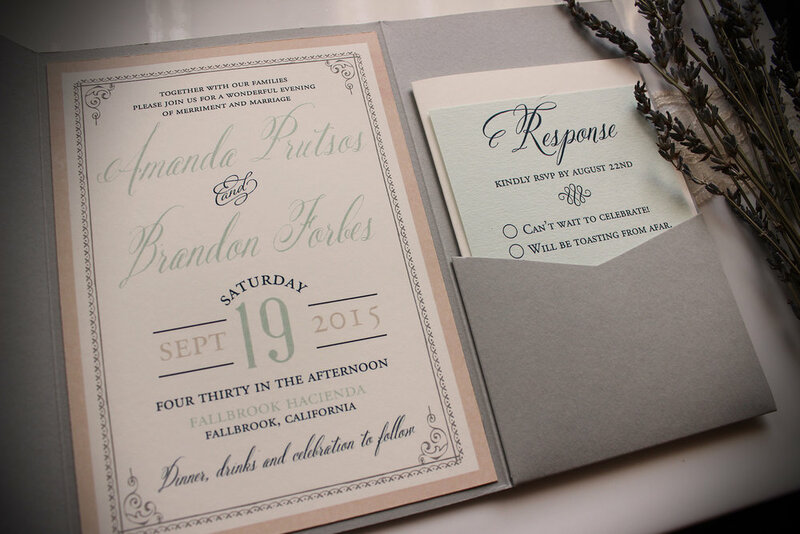 And now, their beautiful invitation Lisa designed for them. And knowing the couple personally, they could not be more perfect for them! Lisa, thank you for always pouring your artistic heart and soul into every single invitation and for the extra love you put into my Brother and Amanda’s invites. 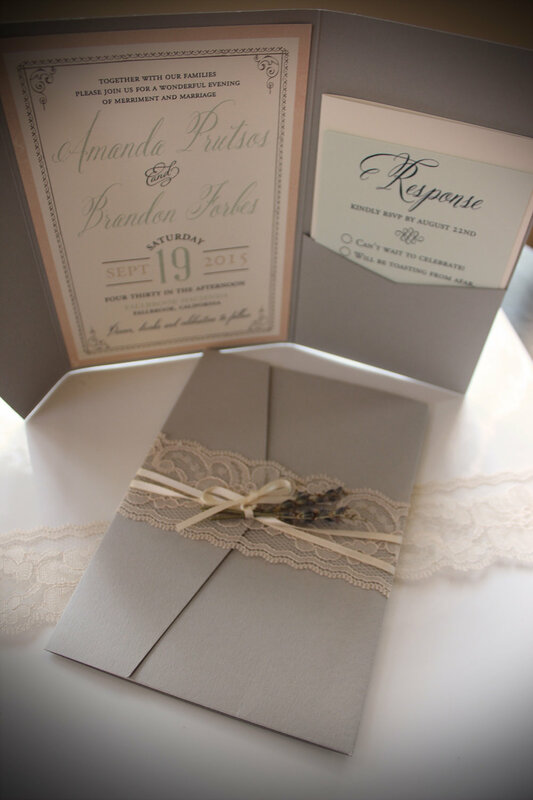 I love the dried lavender accent. It added that perfect touch!